Biostar has released a new accessory which is capable of converting a gaming PC into a professional mining rig with a simple addition of a drop-in piece of hardware the Crypto Mining Card. The Crypto Mining Card transforms your rig into a professional cryptocurrency mining rig that can handle up to 8 graphics cards if your motherboard is equipped with 6 PCI-e slots. The new BIOSTAR Crypto Mining Card allows BIOSTAR’s hot selling gaming motherboards, like RACING H170GT3, GAMING H170T, Hi-Fi H170S3H, Hi-Fi B150S1, Hi-Fi B150S1 D4, or TB150 PRO to be used for crypto mining applications. The BIOSTAR Crypto Mining Card is designed for BISOTAR gaming motherboards, such as the models mentioned above and more, turning into a crypto mining base. To increase the mining profitability, this Crypto Mining Card can let mining enthusiasts set up their mining machine up to 8 slots to utilize more GPUs for more mining power. 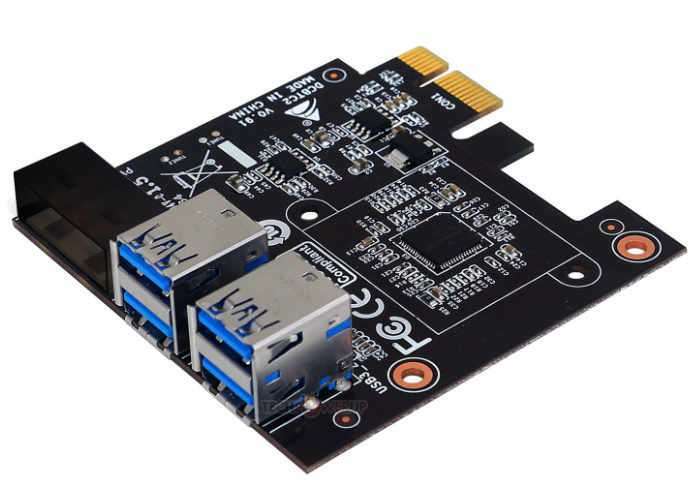 The BIOSTAR Crypto Mining Card connects to the existing PCI-e x1 slots on supported motherboards and can connect to PCI-e risers for much more graphics card slots. This solution is perfect for people who want to have the flexibility of a gaming PC that can transition to a mining rig after or during its primary function. BIOSTAR allows its gaming and other series motherboards to utilize this expandability to create a new breed of motherboards for both entertainment and crypto mining.